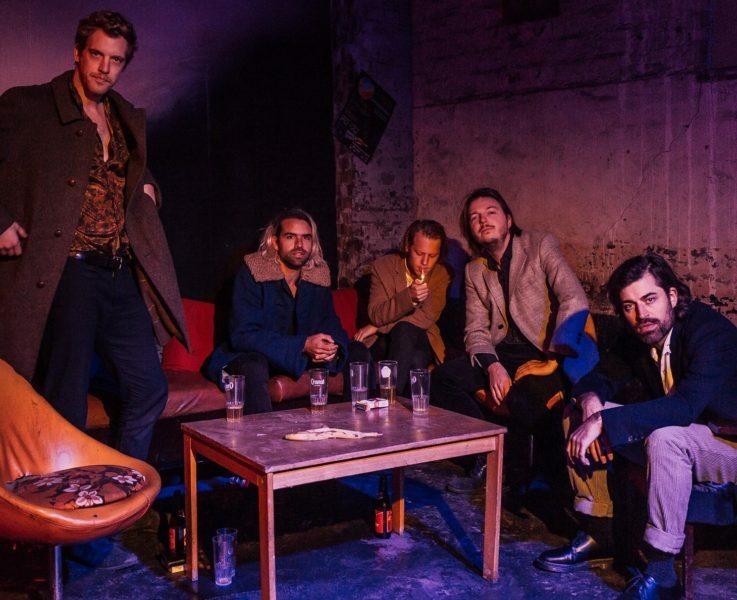 It was in May 2015 after Balthazar just finished another full month of touring for their third record Thin Walls when they felt that some kind of change was necessary. The processes of the music industry became an automatism and the five members found themselves stuck in that ongoing cycle: Recording, promoting, releasing, touring – and all over again. ‘When you’re in a band like Balthazar it really takes over your life, it’s a lifestyle I guess.’, one of the two frontmen Jinte Deprez says while looking back. With the loss of drummer in 2014 the band already had to pay tribute for that lifestyle. Then, one year later, after nearly six years of constantly being on the road since the release of their debut record Applause in 2010, the band had to face the next loss: Violin player Patricia Vanneste left the band. The remaining four musicians decided to hit the pause button. ‘We kind of felt that it was dangerous to make another bouncer album in the sense that it was getting too much of a routine. And we wanted to avoid that by taking a break, because we thought it would be healthy.’ singer Jinte says reflecting on the self-imposed break. But the years since then have been anything but a relaxing sabbatical. Three of the four remaining members came up with solo projects, which again included the inevitable processes of recording, promoting, releasing and touring. But this time it was an exciting new experience. 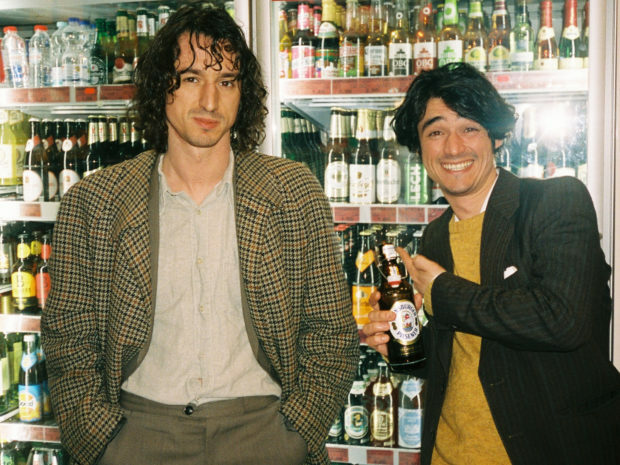 Jinte Deprez created the alter ego J.Bernard and released a souly R&B and hip hop infected record, the other frontman Marteen Devoldere even released two records under the name Warhaus and bass player Simon Casier created Zimmerman and released a lo-fi indie rock album sounding like The Strokes. It was definitely not the lack of a creative output, but the wise foreseeing that the band constellation might be on the brick of imploding, if not given enough space and time. So for about three years, Balthazar fell apart into its pieces with everyone trying out their luck and getting new impression by working with other people. Once you don’t have a band to hide behind, but you’re the one on stage as the leader of your own formation, as performer of your own – and only your own – creative output, it’s at the same time a big opportunity, but also goes along with risks of failure. Taking a break just to realize that what you had was pretty much the best you could possibly get, is probably the best outcome of an self-imposed pause in any kind of relationship. ‘In the solo projects everyone was a really big fan of each other’, Jinte says honestly, with no sign of jealousy. The inspiration the musicians collected by working on their own left their mark on the new record – it’s only a logical consequence. 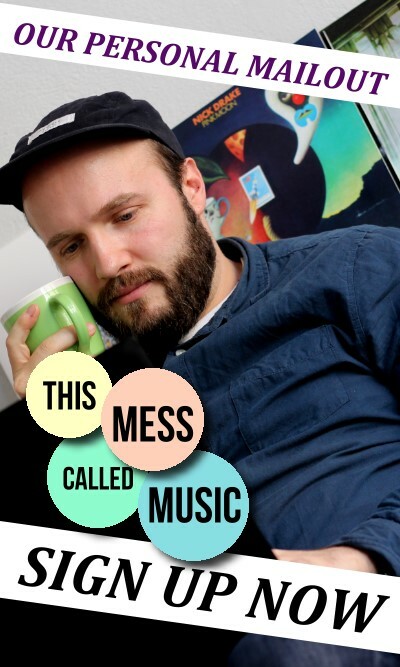 The decent usage of synthesizers, a new-found pop appeal and easiness and a heavy gravitation towards the dancefloor can be seen as a left-over, or more of a lesson learned from the solo adventures. Leaving the indie rock comfort zone and reaching out to different genres was a profound experience for all musicians. It not only widened their musical horizons, but also took the fear of the unknown. The new record also goes along with a new way of recording. After the band’s first two records were produced by themselves and the third one in very a classic way by a British producer within three weeks of recording in England, the band decided to go a different path and bring it back to the family. Or let’s say extended family: Jasper Maelkelberg, also a good friend of the band, ‘who knows Balthazar through and through’ (and who will support them on their upcoming tour with his band Faces On TV) was responsible for bringing the new ideas into a record. ‘He had a vision of how we needed to tackle the new album. And I think Jasper was the perfect guy. He did a lot in the solo projects as well, so he knew how to make the balances of everything what we have done before and what we wanted to do in the future.’ The friend like relationship between band and producer was a key to the new sound concept. In December 2017 the band started writing songs again and met up for writer-sessions with Jasper. Because there were still some shows of the solo projects scheduled, the writing process was of several shorter sessions, and not a constant brewing over ideas: ‘It was cool, because we could work very intensively for a week and then go on tour again and get some distance from what we’ve created. So it was very different process’. 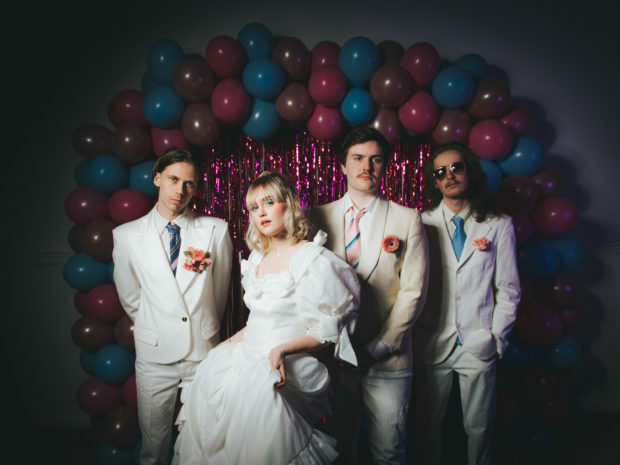 It prevented the band from getting stuck in a bubble and gave the opportunity to take some of that freshness of working with other people back into the writing process. Through the intervals of touring there was a constant reminder, that you don’t have to tie yourself to a particular sound and new things only seem dangerous, if your perspective on them is narrowed down. That new playfulness reveals itself in pulsating synthesizers, African percussion, techno beats, atmospheric sound scapes and oriental sounding string arrangements. On previous records, that would sound out of place, but on Fever it feels like a natural evolution. ‘I think because we tried it out in the solo projects, we were less afraid to do them.’ As if the solo projects brought something to the surface, that was hidden under the indie rock facade the whole time but wasn’t ready to be explored. Need another example? The picture of the artwork for the new record is not rooted in any deep, meaningful thought process, reflecting some hidden inner emotion of the songs. It was taken from a National Geography magazine, that happened to be at the right place to the right time during one of the writer-sessions. ‘The photo was on page seven. We thought it was really funny the way they posted. It’s like a band: There is a lead singer looking directly into the camera, and there is a guy staring into the void, that’s obviously the drummer.’ Jinte says with a childish laugh. 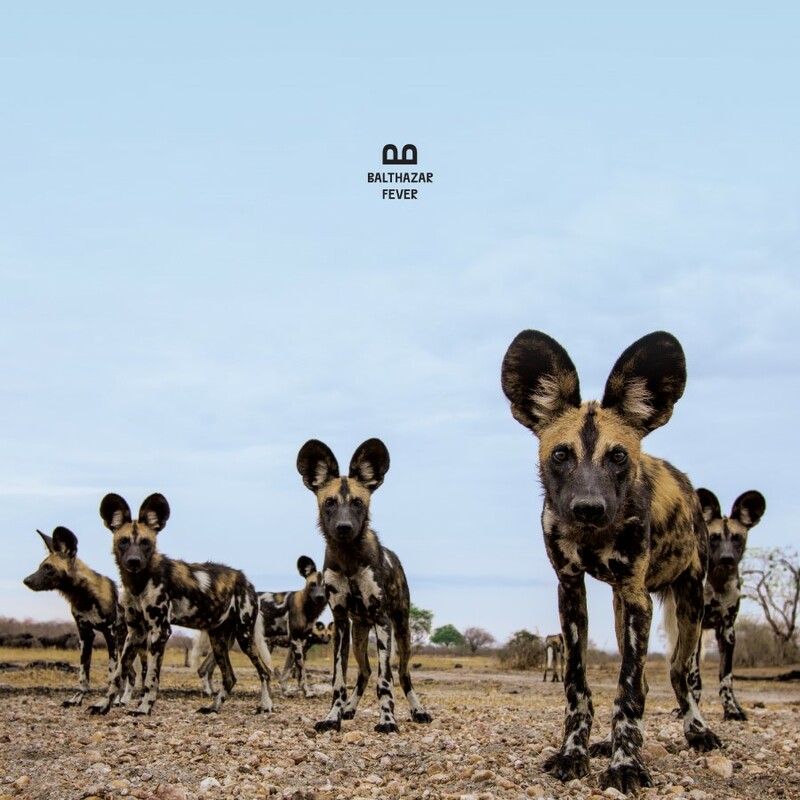 That the pictures pops up as the second result on google when searching for ‘African wild dogs’ and the fact, that the band is not making a mystery about it, proves the new found easiness and serenity. But besides all the easy going vibe, the new record also proves that the musical ambitions are still high. 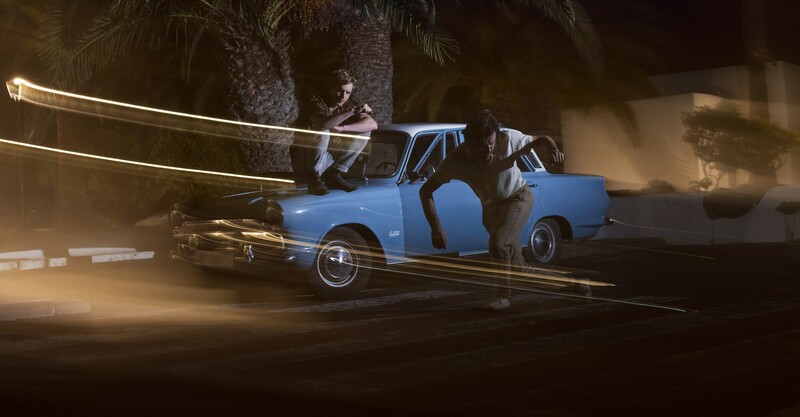 Slow tempo and laid back songs with interesting flows are one side of Balthazar in 2019 and reveal their passion for creating atmospheric and at the same time groovy music, with elaborated string arrangement and thoughtful placed rhythmic and melodic elements – standing side by side to the feel-good dance tracks, that cover most of the record. If a statement like this is the result of stepping back from the band, that decision four years ago might have been the best Balthazar has ever made.